Jihadis hate Pellet Guns. To quote, “pellet guns have put the fear of the God in those who want to turn the Valley into a clone of either Pakistan or the Islamic State, or both”. 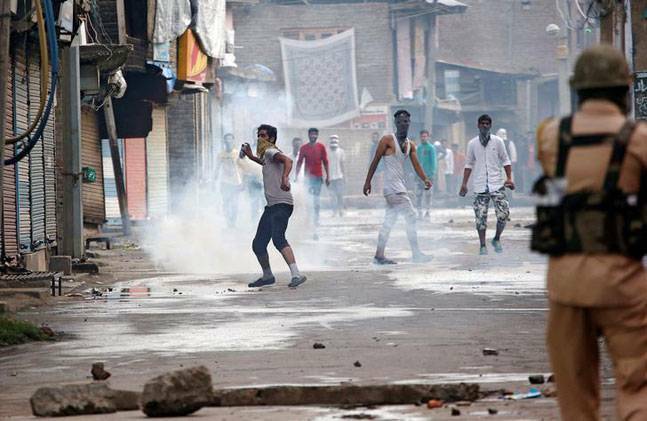 In previous times, huge stone-pelting mobs who greatly out-numbered security forces would cause them to run for cover or get lynched. Our soldiers would be angry, humiliated and demoralized, and the jihadis celebrated their victory. With pellet guns, no more. The mobs with terrorists hiding behind them, had to face the pellet guns and the security forces had some protection. The jihadis and their “secular media” friends hate these pellet guns as Poke-marked bodies and faces are bad advertisement for those who want to join jihad – the scary faces scares away future recruiters, so no new recruits. So continue to aggressively USE PELLET GUNS, a good offense is the best defense.